When will be Pandora's Box: Unleashing Evil next episode air date? Is Pandora's Box: Unleashing Evil renewed or cancelled? Where to countdown Pandora's Box: Unleashing Evil air dates? 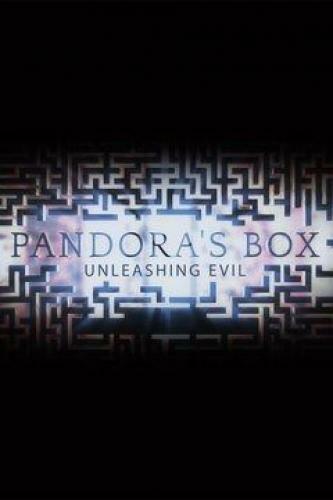 Is Pandora's Box: Unleashing Evil worth watching? Most stories end with the crime, but sometimes the crime scene represents just the tip of the iceberg. From a murder scene that tipped police off to a polygamist secret society to a random house fire that revealed family secrets that had been buried for decades, Pandora's Box: Unleashing Evil uncovers gripping investigations that get more sordid as every piece of evidence is examined. An Iowa mother is hailed a hero when she shoots an intruder in her home. But as the case evolves, investigators learn things are far from what they seem. Detectives face off against a master manipulator hell-bent on revenge at any cost. When three synagogues simultaneously go up in flames, federal agents work around the clock to solve the arsons. They get an unexpected break when a double murder 150 miles away reveals new evidence—and a sinister plot of bigotry, fire and fury. When a detective looks into a string of home invasions, his investigation brings him face-to-face with a sociopath guilty of far more than breaking and entering. Then, a bold prison escape catapults the killer to fame and ignites a media frenzy. Pandora's Box: Unleashing Evil next episode air date provides TVMaze for you. EpisoDate.com is your TV show guide to Countdown Pandora's Box: Unleashing Evil Episode Air Dates and to stay in touch with Pandora's Box: Unleashing Evil next episode Air Date and your others favorite TV Shows. Add the shows you like to a "Watchlist" and let the site take it from there.